Many people yearned for the end of 2016 — too many unexpected deaths of notable people, too many unexpected acts of violence, too many unexpected election results. However, 2016 did have its highlights. In early 2016, I wrote about the five pillars of the BIDMC strategic plan for the year: social media-like documentation, mobile technologies for patients/providers, analytics for care management, cloud hosted interoperability and enhanced security. Here’s my top 10 list from 2016 as to how these concepts actually played out. In early 2016, a guiding coalition of developers and providers suggested a path forward for national interoperability. By the end of 2016, all the EHR vendors agreed to openly share data among their platforms using a query/response architecture. MACRA/MIPS as implemented in the Quality Payment Program final rule reversed the trend of overly prescriptive healthcare IT regulations. Clinicians have choices instead of endless data entry. Apple has accelerated the use of consumer products as middleware. It’s estimated that 880 million people carry a supercomputer with them (their iPhone) and it can be used to gather objective data from internet of things devices in the home. BIDMC@Home would never have been possible without simple to use middleware on phones. Cloud hosting became a reality for mission critical healthcare applications. Google, Amazon and Dell/NTTData agreed to sign business associate agreements. FHIR standards were implemented in production systems and radically simplified interoperability. In 2017, FHIR will enable third parties to create add on modules to EHRs, accelerating innovation. Surescripts introduced its national record locator service and made it available for free. 21st Century Cures requires a federal study of a national healthcare identifier. Care management/population health applications including novel workflow solutions became a reality. As the country moves from fee for service to value-based purchasing, incentives are finally aligned to coordinate care across competing facilities. More than 50 percent of doctors want to quit the practice of medicine because of the burden of clinical documentation. There is a growing consensus that new approaches to spread the work and enhance usability are key. Secure texting and other forms of social-media like communications are gaining traction. BIDMC has prototyped a “Facebook-like” approach to team documentation, giving every patient a “wall” that every member of the care team can edit. When my father died in 2013, I lamented the lack of patient and family engagement in ICUs. Today, every ICU at BIDMC offers the MyICU app to patients and families providing a comprehensive platform for care planning and communication. Numerous security enhancements went into production at BIDMC in 2016 including various kinds of malware protection. We also created a prototype application with colleagues at MIT using Blockchain for cryptographically securing health information exchange in the community. Although it’s at the peak of the hype cycle, I believe Blockchain will truly provide a novel architecture for health information exchange in 2017. So there you have it. For all its ups and downs, 2016 had major breakthroughs. As I always tell my colleagues — we have to look at our trajectory and not just our position. 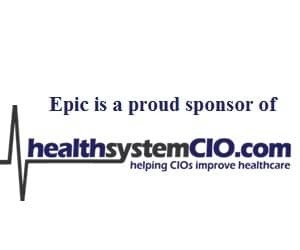 From the beginning to the end of 2016, the healthcare IT trajectory was good. What about my predictions for 2017? That’s coming soon.